Mediterranean Trans Logistics (MTSL)’ ever increasing fleet of 150+ vehicles are positioned & ready to fulfill your delivery service needs in the greater global geographical Metro area & beyond. Parcel and light freight delivery is available on a 2 - 4 & 6 hour basis, coupled with a cost effective No-Rush, Next-day service option. 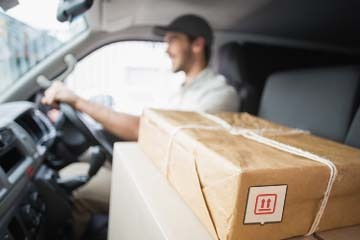 Mediterranean Trans Logistics (MTSL) Same-Day Courier Service is dedicated in providing fast, efficient & consistent delivery services throughout the delivery process. No matter the size of the conveyance needed, Mediterranean Trans Logistics's (MTSL) full fleet of Cars, Cargo/Sprinter Vans; Straight Trucks & Tractor/Trailers will deliver to your destination, On Time Every Time! Mediterranean Trans Logistics (MTSL) has been providing “Best-In-Class” messenger and courier services in the Chicago-Land Metro area since 1985. Mediterranean Trans Logistics (MTSL) specializes’ in Same-Day delivery & Expedited services for Chicago, Central Illinois, Southern Wisconsin and Northern Indiana. Our professional and reliable staff is available to meet your on-demand delivery needs 24-7. Whether you’re shipping a single document or a full trailer load; Mediterranean Trans Logistics (MTSL)’ professional team of messengers, couriers, van, truck and internal operations specialists will get your package there On Time Every Time!.